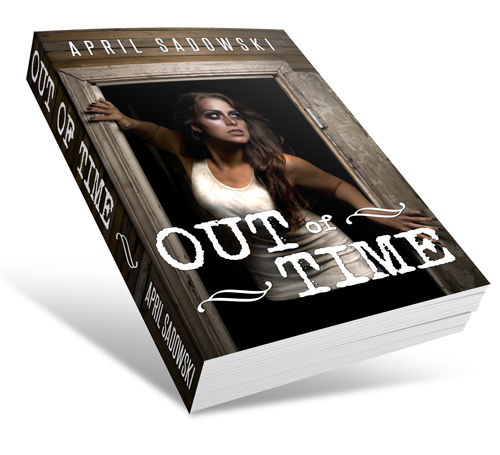 Out of Time was a Script Frenzy 2011 winner is produced as an audio drama by myself as well. The novel adaption (from the audio drama) is available for sale for $.99 at Smashwords and Amazon Kindle and $.50 through this website. The cover photo is by Rayna Pitter, and the design is done by myself. There is mysterious door in the attic, one that appears to have the ordinary contents of a closet to most who open it. However, there is one girl that thinks there is something more to this door. She can see what appear to be ghosts, haunting the frames. What could possibly be behind the door? Why do the people look lost? Sasha becomes caught in-between time and space. She enters her past and futures, trying to find her way back to the present, while keeping the reality of the situation a secret. Simon stopped at the bottom of a flight of stairs leading upwards. “Well here we are,” he said. “The attic,” Sasha said in almost a whisper. “You girls wanna go in first?” Simon asked, waving his hand up the stairs. He said this with a tinge of sarcasm to his voice, as if it was meant to scare them. “I’m not afraid of a room,” Sasha said. As soon as she got to the top of the stairs and opened the door to the room she was hit with a flood of emotions and something more. She stopped dead in her tracks, noticing figures walking in front of the door on the other side of the attic. This must be the door Simon was talking about. “What’s wrong?” Mandy asked, walking up next to her, and noticing her friend’s face had turned ashen white. She’d been with Sasha long enough to know something paranormal was happening. It didn’t happen very often. The last time was when they had visited a nursing home to go caroling. As soon as she had entered that nursing home, Sasha remembered a dream she had that depicted the very same building. Sasha later found out that her great grandmother was supposed to visit there before she died. “Something,” Sasha answered hesitantly. Mandy was the only one that knew her secret and she didn’t want to let on. The conversation would have to wait until later. “What do you mean ‘something’?” Simon wondered. This work is protected by US Copyright (2011).